The pharmaceutical industry in Kenya is growing at a rapid pace and offers excellent opportunities for exporters and manufacturers to establish their products and services in the lucrative market for pharmaceuticals in East Africa. Kenya is currently the largest producer of pharmaceutical products in the Common Market for Eastern and Southern Africa (COMESA) region, supplying about 50% of the regions’ market. Kenya’s prescription pharmaceuticals market is worth over $500 million and is expected to grow at a compound annual growth rate (CAGR) of 11.8% until 2020. Over the past years, Kenya has recorded a significant number of fake medicines. 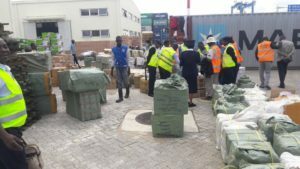 There has been a series of nabbed pharmaceutical imports, closed pharmacy retail points and deregistration of licensed pharmacists, all in efforts to crack down the sale of counterfeit medicines. The Ministry of health under its watchdog, Pharmacy and Poisons Board of Kenya (PPB) has further introduced new clauses on the registration of pharmacies, this ensures new practicing pharmacists strictly adhere to specific regulations on the dispensation of medicines in Kenya. However, the prevalence of counterfeits still stand in our society, in fact, specific fields such as Sexual and Reproductive health products, today pose increased rates of counterfeits. The counterfeit scene has now changed from copying prescription medicines to, more, fast moving, over the counter medicines. This is attributed to the growing market demand for over the counter health products. Institute of Research Against Counterfeit Medicines (IRACM) states that a $1,000 (about Sh100,000) investment in cocaine yields about $20,000 (about Sh2 million) but a similar investment in counterfeit medicines could rake in between $200,000 (about Sh20 million) and $500,000 (about Sh50 million). This explains why the counterfeit drug industry is quickly growing. These cartels, equally target citizens who are more likely to be unaware and, or, compromise on the cost of products. These dealers promise affordability, forcing communities to look at their pocket-friendly price instead of the product’s quality. It is interesting that most retailers neither know nor question the quality of health products they dispense. The analytics of how new products enter the supply chain in an environment the manufacturer means and produces quality products is also interesting. Studies show, in a supply chain of Manufacturer, Distributor, Retailer and consumer, products are prone to theft, replacement and or duplication. The bottom line being, packaging and product appearance dictating the assurance to the consumer on the products quality. She continues to say; “I always ask myself, was this drug fake or not. Although there is a 10% chance of the drug not working, I doubt its quality. For many reasons; one, two of my other friends fell pregnant too, under, the same circumstances even after taking the pill. Second, the packaging aspects of this product vary from retailer to retailer and third, the government gave notice on the probable spread of fake contraceptives in 2015″. As a young activist who holds governments accountable, we have developed solutions that require pharmaceutical manufacturers to imprint verification codes on their products before posting them into supply chains. These verification codes then work as standards for track and trace, enabling communities to hold retailers accountable for the safety of each pharmaceutical product by verifying code using SMS before consumption. All these showing Kenya’s commitment to fighting counterfeit drugs. As Uthabiti Health, this growing need to fight counterfeits places us right to in the revolution of better; quality and safe health products. Through partnerships, we can and will achieve good health and well-being through increasing access to safe health products. This project is part of the IACC Social Entrepreneurs, an initiative hosted by Transparency International.